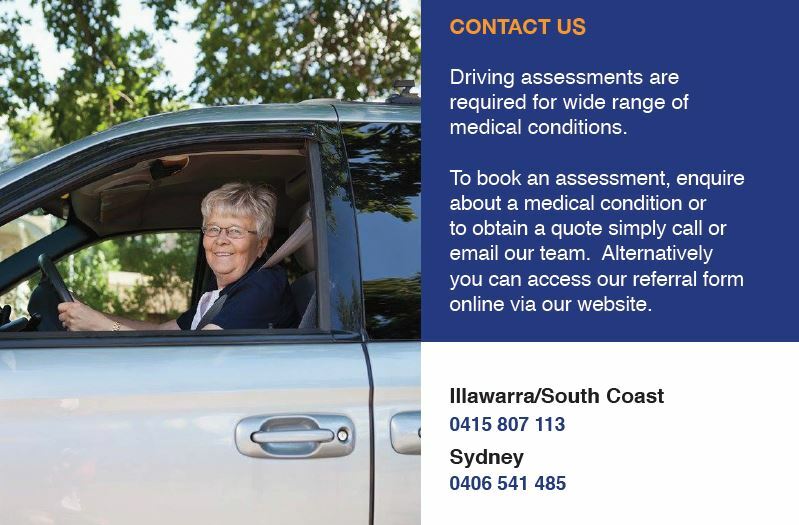 Roads and Maritime Services (RMS) does not require a medical review or report (or for any condition to be endorsed to your licence) if you have a minor disability or amputation, provided you have nil other medical conditions. Examples of minor disabilities are loss of toes, mild joint stiffness, and slight differences in lengths of limbs. However, for serious amputations or disabilities, an individual will likely require special aids or vehicle modifications made to their car to be able to drive safely and to RMS standards. Serious amputations or disability can include loss of or serious impairment in one or both legs, loss of or serious impairment in one or both arms, or the loss of three or more fingers in one hand. Once you have been referred to Modified Driving Solutions, our Occupational Therapists (OT) will assess if your condition affects your ability to drive safely, and determine what vehicle modifications or aids you may require. Off-road Assessment: The OT will attend your residence and conduct a physical, cognitive and visual screen, as well as a medical history. This assessment will determine the extent of your physical condition, and identify any other deficits that may be present. The OT will identify what vehicle modifications or aids you may require for the On-road Assessment. On-road Assessment: You will drive a vehicle with dual controls and the specified modifications or aids installed. The OT and a Driving Instructor trained in driver rehabilitation will conduct the assessment. The assessment will take place in your local area and will aim to encounter various driving and traffic conditions. The assessment will focus on the deficits noted from the Off-road Assessment, and may also pick up other issues. The assessment will determine if your physical disability or amputation impacts on your ability to drive safely and if modifications are required. If it is assessed by the OT that due to your amputation you require vehicle modifications, the specific modifications or aids will be endorsement on your licence. You may require lessons with a Driving Instructor trained in driver rehabilitation to become competent in driving with the new driving aids or modifications. The amount of additional lessons a person requires varies between individuals. The Driving Instructor and OT will monitor your progress with the lessons. Once you are competent with the modifications you will sit an RMS disability test. This is a similar format to a Learner’s test, except you will be driving with the modifications. If you pass this test, your licence will be upgraded to a full unrestricted licence, with the driving modification or aid endorsed. You will then receive support with finding a vehicle modifier.